"Niilesh, Congratulations for putting this book together. Well Done". 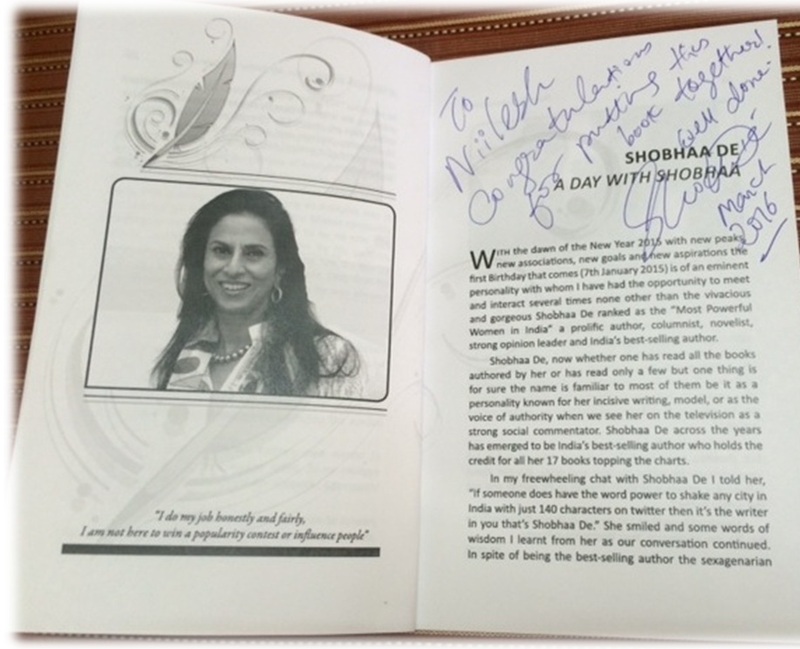 Kind words of appreciation for my book titled "Notable Personalities" from India's best selling author the gorgeous Shobhaa De. 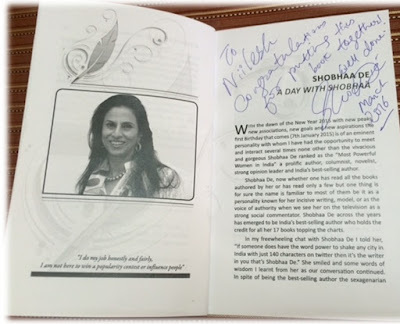 Shobhaa De, is often featured as the Most Beautiful, Most Influential and Most Powerful Indian Women popularly well known for her journalistic contributions and bold opinions. Thank you for the graciousness and your kind words showered upon me . . .